Kel Cheris of the Hexarchate is disgraced for using unconventional methods in a battle against heretics. Kel Command gives her the opportunity to redeem herself by retaking the Fortress of Scattered Needles, a star fortress that has recently been captured by heretics. Cheris's career isn't the only thing at stake. If the fortress falls, the hexarchate itself might be next. Cheris's best hope is to ally with the undead tactician Shuos Jedao. The good news is that Jedao has never lost a battle, and he may be the only one who can figure out how to successfully besiege the fortress. The bad news is that Jedao went mad in his first life and massacred two armies, one of them his own. As the siege wears on, Cheris must decide how far she can trust Jedao--because she might be his next victim. 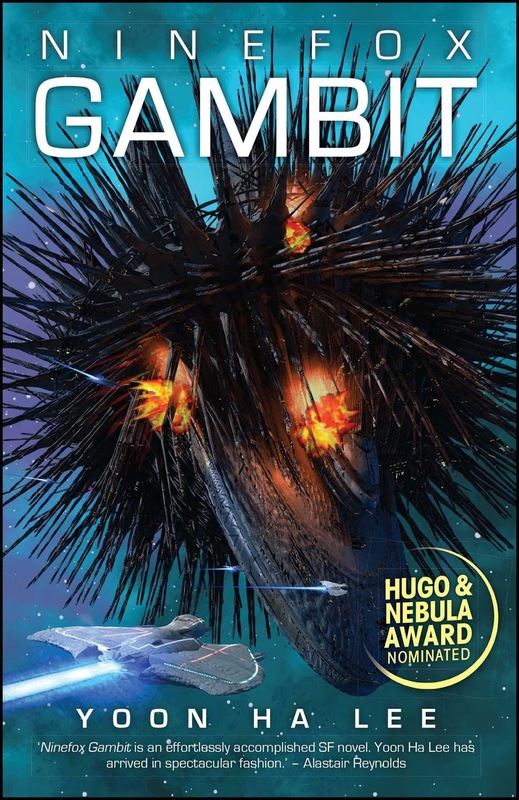 Ninefox Gambit in an interesting read because of how different the premise was as opposed to normal Science Fiction. The society presented, the Hexarchate, uses technology that only works when the proper religious ceremonies are performed at the proper time. Therefore, heresy is seen as a major problem, and any alternative thinking is just a step away from heresy. This edge of a knife perspective adds new importance to the main characters' every actions, which is really interesting. Add to this strong and complex characters and a plot with many twists and turns, including a huge one at the end, and you have a book that is well worth your while. The book does end with a bit of a cliff hanger ending but with the sequel recently released, it is a good time to pick it up and check this book out.